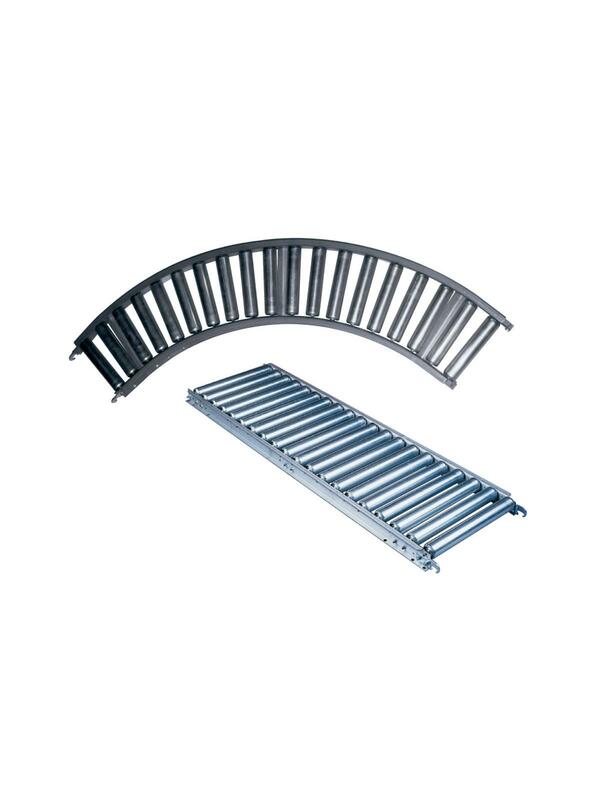 Ideal conveyor for irregularly shaped or open bottom items. Long lasting construction features stand up to daily industrial punishment. Rollers measure 1-3/8" diameter and are 18 gauge galvanized steel or 18 gauge aluminum, with flanged type bearings and spring loaded 1/4" wide axle. 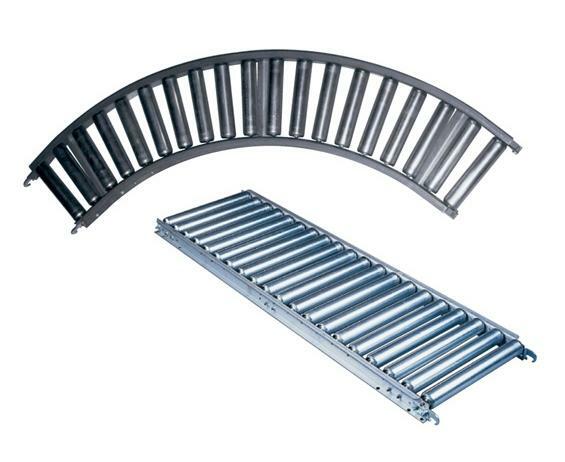 Aluminum conveyors have 2-1/2" x 1" x 1/8" aluminum channel frames, while steel ones have 2-1/2"x 1" x 12 gauge galvanized frames. Channel capacity for steel conveyors is 900 lbs. and for aluminum, 600 lbs. FOB Shipping Point.